For most SAN performance analysts, there seems to be a bit of a mystery in how replication works. On the surface, it is simple. Data is written to a primary copy and either synchronously or asynchronously copied to a secondary location with the expectation that a loss of data at the primary site would result in minimal data loss and a very minimal recovery effort. There are several types of replication, and each type has its nuances. Each of these technologies should be evaluated in light of various business requirements. And getting visibility into those key areas for analyzing replication is crucial to get to the root cause quickly and proactively prevent performance issues from occurring. 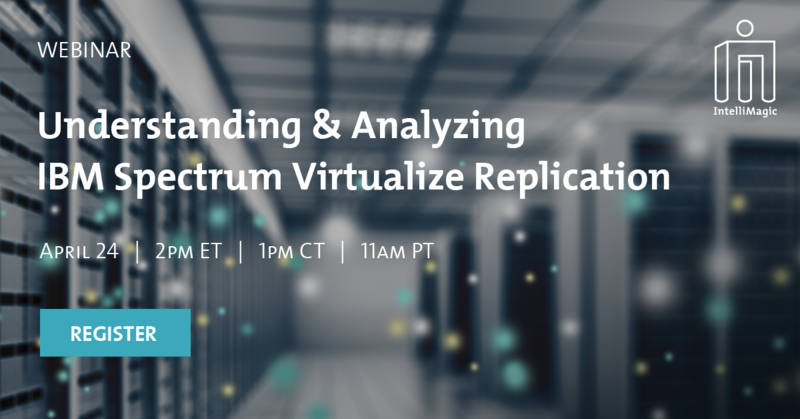 In this webinar, Brett Allison, Director of Technical Services of IntelliMagic, will cover the IBM Spectrum Virtualize replication options along with showing an example of analyzing IBM Spectrum Virtualize Global Mirror replication performance issues.